Do Wes Anderson Movies Actually Make Money? Indie and art house film has always extended the possibility of artistic freedom—at least as much as it’s possible for any auteur to pursue a singular vision in a medium that requires the input of everyone from actors and producers to key grips and the tweakers on craft service. Hollywood is to film what Nashville is to music, the thinking goes—where formulaic pap is churned out for the general public, whereas indie (like alt-country or Americana) allegedly offers the possibility of something less polluted by conformity and commercial concerns. Of course, cinematic liberty can be a bad thing. Just look at the chronically self-indulgent and mediocre films of Woody Allen, which have cried out for the firm hand of an editor for the better part of twenty years. M. Night Shyamalan and George Lucas also offer cautionary tales of what happens when an artiste can get a big budget to do whatever he wants (and it’s almost always a “he”—when was the last time the great Nicole Holofcener got away with a bloated opus?). Indeed, doesn’t The Passion of the Christ kind of make Mel Gibson one of the most successful independent filmmakers of all time? How did that turn out? But Wes Anderson offers a case study of a filmmaker who somehow has managed to bring a weird sensibility to movies that reach reasonably substantial audiences. The polarizing indie darling puts off some, due to his fussily pristine, diorama-like sets and arch characters. Indeed, for many Anderson forewent his early promise as an emerging star in American film by sticking fastidiously to a very distinctive and artificial style. Whatever you think of him, though, the director has been fairly successful in pursuing his own idiosyncratic vision despite whatever critics or studio heads might say. Like Allen, he keeps getting to make his films according to his own stubborn aesthetic—for better or worse, depending on how you feel about The Life Aquatic. Indeed, Anderson is the rare indie director who did well enough in the bushleague to get a shot at making the big, weird movie of his dreams—the aforementioned pseudo-Cousteau epic of Steve Zissou. After the critical success and cult buzz of Rushmore (1998) and The Royal Tenenbaums (2001), Touchstone Pictures gave Anderson $50 million to do apparently whatever he wanted: Stop-motion tropical lizards! Portuguese covers of David Bowie songs! 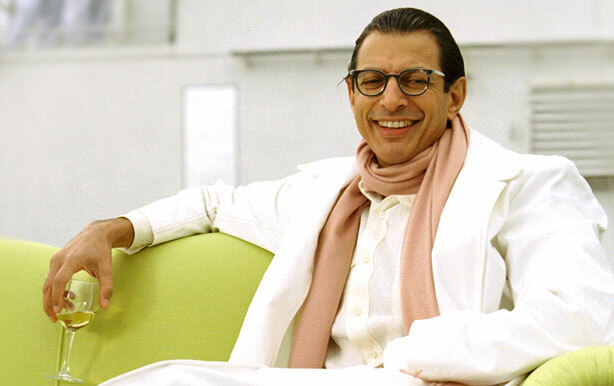 Jeff Goldblum as a bisexual oceanographer! Obviously America is going to eat this up. Somehow Anderson managed to recover his career after the critical and commercial failure of Life Aquatic (a film I still think is misunderstood and underrated, or at least admirable for its lunatic ambition). But how does a director with such a peculiar aesthetic keep being able to make movies? Do Anderson’s movies actually make money? A look at his track record is actually surprising. First of all, it’s worth noting that Wes Anderson is the sort of director who can get A-list stars (Bill Murray, Anjelica Huston, Willem Dafoe) to appear in his films for a lot less than they’d usually be paid, just for the prestige of being in one of his movies—not unlike Woody Allen, who somehow hypnotizes the likes of Emma Stone and Alec Baldwin to star in his craptacular escapades. So Anderson gets a lot of bang for his modest budgets. Still, the movies cost what they cost, and a post-mortem of Anderson’s finances is fairly surprising. Bottle Rocket, predictably, was his worst performer—its $7 million budget did not even come close to making a return at the box office, but it did pay off nicely in buzz as the understated caper comedy established Anderson’s reputation as a filmmaker to watch. Rushmore was a much bigger affair, with a brand-name actor in the form of Bill Murray, who turned in a career-changing performance, and far wider distribution than the scruffy Bottle Rocket. (I remember seeing the film, a revelation, at the local 12-screen cinema in Gastonia, NC, where it might have played for a week or two.) Rushmore wowed critics and reaffirmed the sense that Anderson was a new voice in cinema—perhaps the high-water mark of his reputation, in fact, before the director’s increasingly distinctive and stylized aesthetic became clear and started to alienate some viewers. Everything seemed possible in 1998. But it’s hard to parse how Rushmore performed as an investment: IMBD lists its budget as $11 million, while Wikipedia sets its cost as $20 million, with only $17 million in box office. Rushmore’s cult success, though, allowed Anderson to recruit an even more impressive cast for his next film: Gene Hackman, Ben Stiller, Danny Glover, and Anjelica Huston. The Royal Tenenbaums got better promotion and marketing than Anderson’s previous efforts, with commercials that prominently featured the Ramones and the other bigs of the movie’s soundtrack. Tenenbaums became another cult classic with a devoted following, and it became a true performer at the box office, garnering $71 million according to Wikipedia: over three times its budget. After Tenenbaums, it’s not surprising that studios were willing to pony up more for a true big-picture Anderson project, but Life Aquatic fell far short commercially, clawing back only $34 million of its $50 million budget as viewers and critics reacted to the film with true puzzlement. As Rotten Tomatoes summarized the reviews, “The Life Aquatic with Steve Zissou is getting soaked by many critics, who call it smug, ironic and artificial. Still, others have praised the movie’s sheer uniqueness, eccentricity and whimsy”—but only 56% of critics gave it a positive review at the site. 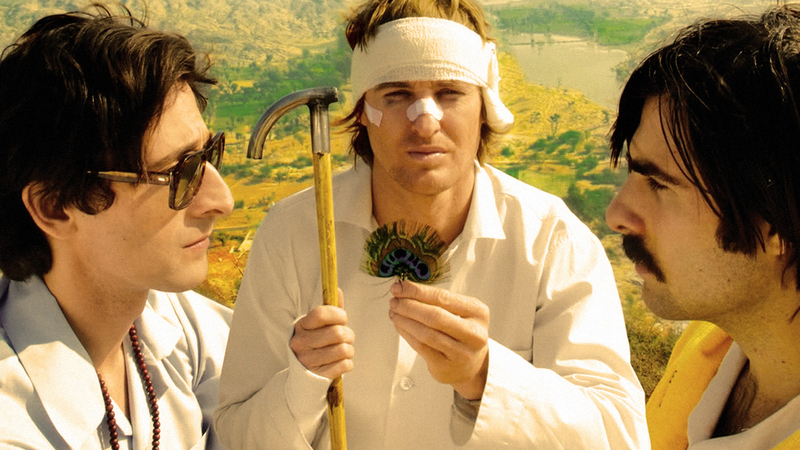 Anderson soon recovered with The Darjeeling Limited (2007), which inexplicably got a better Rotten Tomatoes rating than Aquatic, despite its flat characters and rather problematic Orientalist narrative. Fantastic Mr. Fox soon followed, proving the untested but implicit assumption that Anderson would be most at home pursuing his OCD fantasies in the world of stop-motion animation. But Mr. Fox was basically just an animated proxy for Anderson’s idee fixe of the roguish father figure hero—a children’s movie version of Royal Tenenbaum and Steve Zissou. It was fun, but still felt like a rehash of his earlier works. Whatever the two films’ merits, Darjeeling doubled its budget of $17 million, earning $35 million at the box office, while Mr. Fox edged its cost of $40 million with a $46 million return, winning an Academy Award in 2010. It even found a place among Time’s 25 best animated films of all time in 2011. Which brings us to Anderson’s greatest commercial triumphs. Actually, it’s odd to see how the director’s creative or aesthetic track record matches up so poorly to his commercial one. In many ways, Bottle Rocket and Rushmore are among his most unassailable works on an artistic level, while Fantastic Mr. Fox might not really rank among his best films in my view, despite notching at least a modest commercial success. But Moonrise Kingdom and The Grand Budapest Hotel are indisputably Anderson’s greatest box-office performers, even if many viewers had already wearied of his aesthetic particularities. Indeed, many skeptics had given up on Anderson by the time of his biggest wins at the box office. 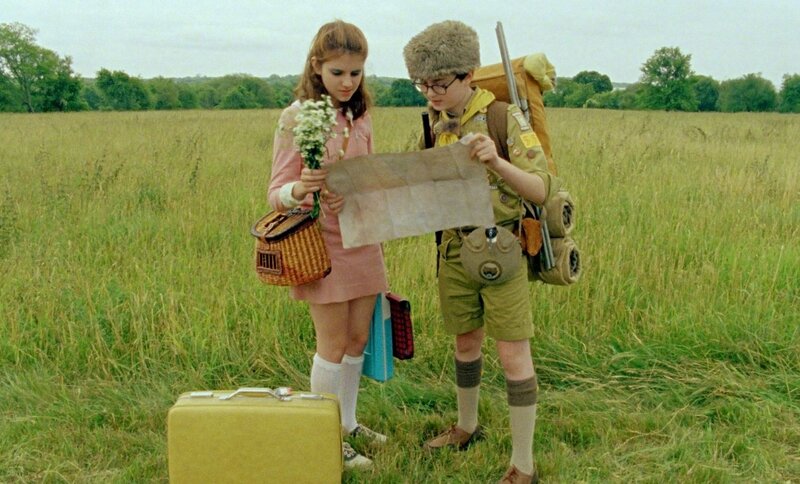 Moonrise Kingdom may be a derivative riff on The Royal Tenenbaums, with Suzy as a gothy teen cover of Gwyneth Paltrow’s Margot and the same childhood/adulthood themes that have characterized so many of Anderson’s films, but it still told a tender story of coming-of-age that resonated with many viewers. It also benefited from expert performances from old pros like Bill Murray, Frances McDormand, and Bruce Willis, as well as the movie’s canny young stars. Moonrise actually far excelled its budget at the box office, scoring $68 million on the $16 million that it cost to tell its tale of New England teenhood in the 1960s. Grand Budapest has the unique distinction of being Anderson’s latest film, his most commercially successful, and his most extremely, fabulously Andersonian. Anyone who’s seen the movie or even the commercials knows this is Anderson to the max—a storybook tale, with highly stylized sets and eccentric, over-the-top characters in a world that eschews realism. 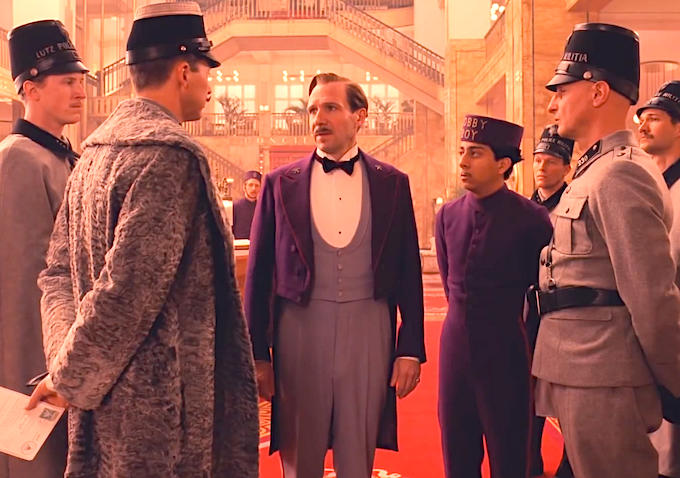 The Middle Eastern lobby boy Zero, the dandyish M. Gustave, the elaborate edifice of the Grand Budapest Hotel itself—they all scream Wes Anderson at his most maximalist. You want to know what happened to Joseph Fiennes, don’t you? Indeed, the film doubles down on artifice in a way that goes beyond anything Anderson has done before—a sort of counterfactual Inglorious Basterds for the twee indie set. Here were Anderson’s perennial themes—lost children, inadequate or errant father figures, nostalgia for a vague, unlocatable past—distilled to an everclear potency. The trailer for the screwball 1930s era romp lets everyone know two things: if you like Anderson, you’ll enjoy the film; if you don’t, you won’t. If you’re Wes Anderson, the success of Grand Budapest probably makes you think that pursuing your zany aesthetic impulses wherever they lead pays off big time—not just in terms of money in the bank, but genuinely satisfying both your fan base and most critics. (The movie has a 92% rating at Rotten Tomatoes, even if some reviewers were put off by the director’s style being just too ornate and stylized.) Exact box office figures can be hard to pin down, of course, but IMDB suggests that only $59 million of its take came from the United States—suggesting that a larger portion of ticket sales came from overseas, particularly Europe, where the movie was a hit. In that regard, the movie follows the trend of many American films, for which the domestic box office is just a small part of the bigger financial picture. The Grand Budapest Hotel suggests that whatever Wes Anderson is doing is working for him, for better or worse. When I first heard of the film’s basic premise, I groaned—another precious fantasy full of cooky characters. I wished he would try something more naturalistic, something that departs from his trademark style, but it looks like no one can knock Anderson off his determined course. One hopes he will neither pursue the path of Woody Allen, the guy who navel-gazes and coasts for decades because he can get away with it, nor of Tim Burton, the wunderkind director who betrayed his muse to make middlebrow crap when it became clear that a virtually homeopathic touch of weirdness was enough to sell stuff like Charlie and the Chocolate Factory and Sleepy Hollow. It’s hard to tell what Anderson will do next, but commercially speaking he’s got the wind at his back—a $140 million return on a $31 million investment doesn’t look like a bad deal, no matter how many Arab lobby boys and foppish concierges the project has. The director has not spelled out plans for his next big project, but you can imagine it will be even more colorful, symmetrical, and ultra-Andersonian than anything before. We’ll just have to agree to disagree, but I think Fox is great and while yes, it is a return to the whole roguish father bit, there’s real menace to Fox. What I mean to say is that his roguishness is more than just a tic, it’s dangerous to his family and his community. That’s uniquely different from Royal who was emotionally remote, insensitive and arrogant, but never really a physical danger. That’s what makes Budapest so good as well. There is real menace – criminal and natural (the death of Tara to scarlet fever, the denouement of the Hotel itself in the beginning); this is what distinguishes these movies from his others. That menace on the edge of childhood is very Roald Dahl and very real in its own way. I imagine there are a lot of people who don’t like Wes Anderson because they don’t understand his humor or style, and they do have money to spend on “Expendables III”, MMA pay per view, or Pro Wrestling. Anderson’s aesthetics I find compelling. His overly and overtly intricate sets. The elaborate directions sequence: M. Gustave’s ridiculous directions to Zero the lobby boy on the purchase of a pastry. And especially David Bowie sung by Brazilian Seu Jorge. And while this may be one of the best written film reviews I have read (Woody Allen’s “craptacular escapades”) I hope Wes continues in all his Andersonian eccentricities. I find them as genuine and engrossing as a great conversation with one of your oldest and closest friends. Let the dialogue continue. Agreed! Thanks so much for reading and commenting. What’s your favorite Anderson film?